Applications are accepted and interviews are conducted for teaching and other positions throughout the year. The majority of hiring begins in May. However, replacement, temporary and other positions become available throughout the year and offers of employment may be made to members of the general applicant pool as vacancies arise. Until regular opportunities arise, successful applicants may be invited to the substitute/casual pool. To submit a general application, go to our online application page. Remember to check back regularly to Current Job Opportunities and apply for specific postings. School bus drivers may submit and application by fax at 306-543-1771 or in person at the Education Centre. We love to meet face to face with potential bus drivers when possible. All offers of employment are subject to Human Resources receiving a satisfactory criminal record check with a vulnerable sector search. We require an original that is no older than 3 months. 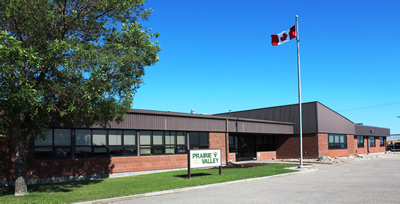 We appreciate everyone who shows interest in employment with Prairie Valley! For more information, contact Human Resources at hr@pvsd.ca.